All direct mail campaigns need a good offer, and this campaign by the AARP Driver Safety initiative clearly shows the potential geomarketing solutions like personalized maps and geo-based analytics provide for marketing activities. 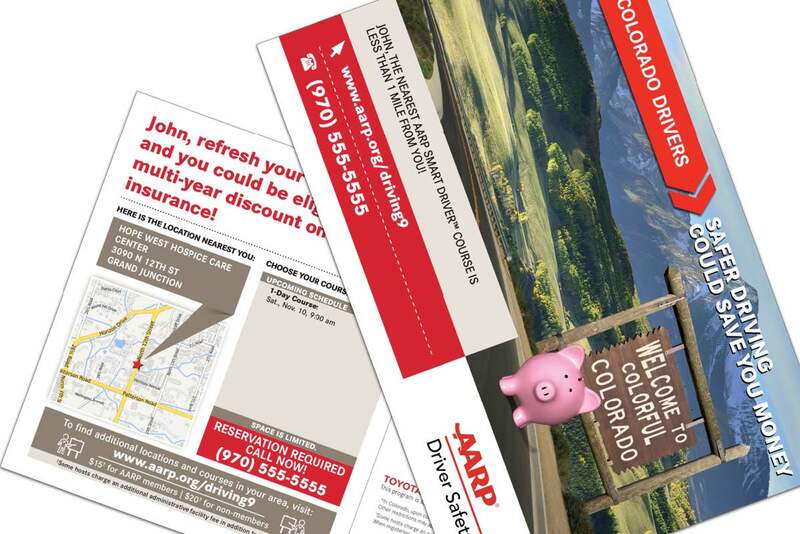 AARP is a non-profit organization that offers driver safety courses designed to help keep drivers 50 and older independent, safe and confident while on the road. However, 5 years ago, the AARP Driver Safety team experienced declining audiences for the in-person courses. They wanted to increase the number of attendees and also try to distribute them more evenly across the hundreds of different locations where courses are held each month. The marketing agency, ThomasARTS turned to locr to explore how geomarketing techniques could increase the overall response and optimize the audience sizes to provide the best learning experience for their members. The direct mail program that ThomasARTS and locr developed has now been running continuously for four years with mailings every month. The campaign increased the overall response and saw attendance levels increase by 50% in the first year. And there’s more to it than that! 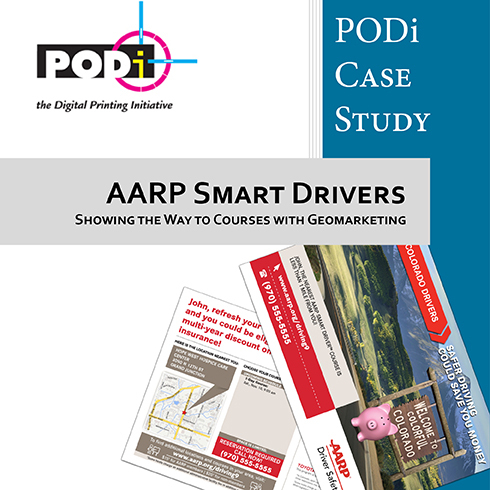 By precisely targeting their recipients with locr’s geo-analytics, AARP Driver Safety was also able to reduce costs. To learn more about the production process and integration of locr’s geomarketing solutions into your marketing workflow get the full project case study! See how a geomarketing campaign is executed in practice and what it can look like—make sure to take away some inspiration for your next project! Learn how, with a creative idea and the right partners, you can create an eye-catching campaign with relevant information and emotionally compelling design that generates awareness in a world of decreasing attention spans.